To avoid spoilers for the first book, I won’t be going into detail on the plot of this series. That said, here is a link to my review of the first book! As you probably know, I’m a die-hard ACOTAR fan, but I will say ACOWAR was my least favorite in the series (-note from the future- that title has now been granted to ACOFAS-). However, that really doesn’t say much because I love this series so much. 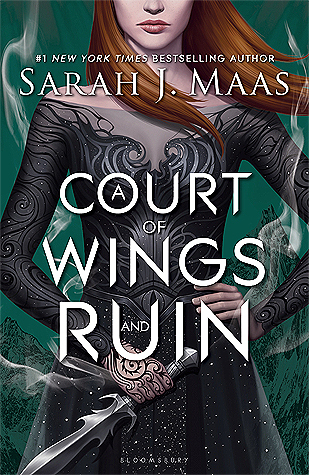 A Court of Wings and Ruin is the last book in the A Court of Thorns and Roses series, although there will be novellas and books in the same universe. This book is the epic, final showdown between the two sides. It’s great, but after the beauty that was A Court of Mist and Fury, I can’t say it was perfect. It definitely is a bit of a step down from book 2, but it still is an amazing conclusion. ACOWAR is a fast-paced book with a good balance of action and politics. All of the amazing characters we love are back and it was amazing to see how they’ve changed over this series. However, this book doesn’t really have that character development we saw in A Court of Mist and Fury, which is understandable considering how ACOMAF was a character-driven book, and ACOWAR is left to deal with tying up all the loose ends while also setting up for spin-off novels. Due to this, it does feel a little rushed at times, and some of the problems are solved in very convenient ways and the consequences seem a little light sometimes. However, that’s just me being nitpicky because this was honestly a fantastic book. The writing is beautiful, the characters are engaging and relatable, and this series will forever be one of my absolute, all-time favorites.